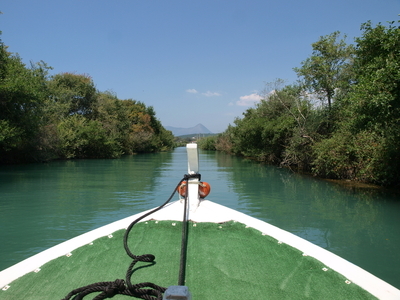 The National Marine Manufacturers Association reports that 15 million Canadians enjoyed boating on Canada’s plethora of lakes, rivers and shorelines last year. You are beside yourself with anticipation, waiting for summer so you can head back onto the water. While you’re waiting, get ready for this year’s boating season with high-tech boating gadgets that will make you safer and happier outdoors. The Sports Techie community blog is excited that summer is here. With global warming in effect and the snow and ice packs melting at alarming rates worldwide, the one bonus is more fresh water opportunities where kids, men and women can boat and fish. I hope you can use these boating devices to morph your vacation into a recreational and angler dream trip. You don’t want to let the big ones get away, but that means finding exactly where they are. Fish finding tech has come a long way, with Hummin Bird creating a device that provides you with a 300-foot sonar circle. This creates a complete view of the area around your boat, with detailed imagery showing you exactly what to expect under the water. You have two settings, a high-speed beam which produces a sonar image faster, with lower quality and a low-beam setting that gives you complete detail. iBobber in a high-tech fish finder that uses Bluetooth to deliver information to your smartphone or tablet, instead of a display on your boat. It lets you tag your best fishing spots, checks up to 135 feet deep, displays fish depths, tracks temperature and lets you keep a trip log so you can easily recount the day’s adventure when you’re back on land. An accurate GPS is a necessary tool when you’re out on the waters, especially when you’re going toward the coastline. Bad Elf GPS Pro is a Bluetooth compatible GPS receiver and datalogger that works with iOS devices. You connect a maximum of five devices to the Bad Elf to share data between devices. The base device has a small form factor and is designed for ultimate readability, showing GPS lock status, your heading, speed and current location. It lasts 16 hours in Bluetooth mode and 32 hours in datalogging mode. When you’re looking at how to get a boating license, one of the biggest topics is on boating safety and how to handle issues such as people going overboard. One tech tool that helps increase the safety factor when you’re on the open water is the Autotether Marine. This is a monitoring device that automatically turns off the boat if it detects someone has gone overboard. It’s a wireless lanyard system, so the base tracks the status of the lanyards on four people. The standard design works with Yamaha and Mercury boats, but it provides clip adapters for other types of boats. You love having tech toys around, but the likelihood of them getting soaked makes for a bleak thought. Consider waterproof equivalents, such as the Jensen compact stereo. This picks up AM and FM radio, as well as a USB connection if you have your own media. It’s designed to fit a 3-inch hole, so you shouldn’t have a problem finding a mounting point on your boat. Sports Techie, The great white north has splendid summers all across the Canadian provinces. Whether you are Vancouver or Victoria B.C., Calgary or Toronto, or nearby one of the thousands of fresh water lakes, rivers or streams, having fun with boat gadgets and increasing your ability to catch a large salmon or trout while improving your family fun and personal safety is why sports technology gadgets, gear and products are a must-have. 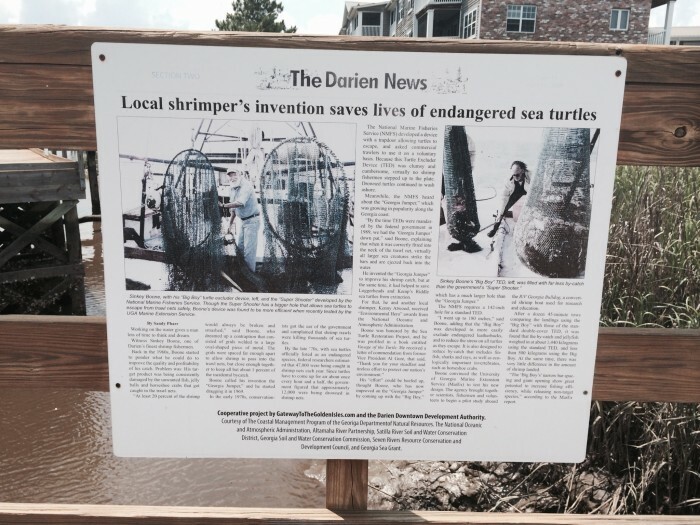 On my current trip throughout Georgia, Florida and South Carolina, I came across a newspaper headline from The Darien News, “Shrimpers invention saves lives of endangered sea turtles.” This led me to thinking that if all Sports Techie around the earth were to think about ways to help save animals and fish with gadget ideas like the Darien shrimper did, the world would be a much better place for it. If you have any ideas like the shrimpers’ invention, leave it below as a blog comment or on our social media network links, eh. To all my Canadian Sports Techie friends who boat this summer, have fun, be safe and fish on.